It’s far to say that at this point the fun and excitement of WWDC has died down for most people, except perhaps for developers who are now working their way through the mountanis of videos and tutorials that Apple posted online. Beyond that though, there is the little matter of a round of beta releases, the second of which happened this past Tuesday. Of particular interest to most, if only due to the larger install base when compared to its brethren, is iOS 9. 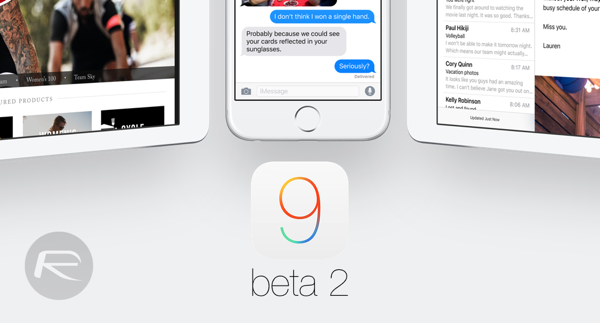 Now beyond that always difficult first beta, iOS 9 beta 2 seeks to take what the first beta had to offer and then refine it while ironing out some of the bugs and issues that it introduced. I’ve been using iOS 9 beta 2 on my iPhone 6 for a couple of days now, as I had the first beta before it, and even after just 48 hours, I can tell that I’m going to enjoy the next two weeks much more than the last. Without a doubt the biggest issue I had with the first beta release of iOS 9 was the horrendous battery life that saw me needing to use a battery pack in order to get through a few hours. I wasn’t alone either, so it’s clear that Apple had some sort of logging turned all the way up, or there was some bug with the power management side of things. Or it was just one of those weird problems that crops up with early betas. Who knows? Whatever the cause, I’m seeing battery life with iOS 9 beta 2 that is above and beyond what I was experiencing with beta 1. That’s not necessarily indicitive of what the rest of the betas, or even the final release will be like, but it’s a good start. iPhone 6: iOS 9 beta 1 on left, iOS 9 beta 2 on right. 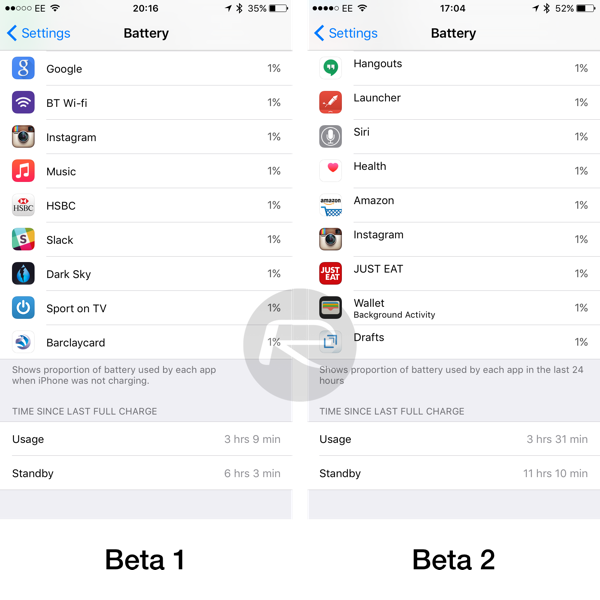 Beyond the battery life, iOS 9 beta 2 feels quicker to launch apps and switch between them, and taps are registered in a more snappy manner as well. All in all the thing feels much more solid for want of a better word, though that may be more down to the state the first beta was in than the second being particularly impressive. At this point, iOS 9 is coming along nicely, and while I still wouldn’t want to recommend that anyone rush out and install it on their every day device, I don’t feel like I need to babysit it as much as I did before Tuesday’s second beta. If you do decide to install iOS 9 beta 2 though, I’m quite confident you won’t have too many problems beyond the odd app crash or failure to load. It is still a beta after all. Yes the beta 2 did impriove the battery life but not more then iOS 8.3 just better then 9 beta 1. Still looks exactly like the pile of ugly garbage iOS 7, 8. “designed” by jony ive the idiot. Hey! Good to see you! And in your awesome mood we’ve come to expect. Have an amazing day! What you don’t like it to be more specific and don’t say everythiing. The phone app crashed regularly with beta 1 and 2 so I had to revert to iOS 8. Patrick’s middle name is ‘Man’; explaining why he’s always in a terrible mood. Aw he’s harmless. And since he’s always saying the same thing it’s lost all its meaning. Phone all doesn’t work for me. Make a call but can’t hear the other side and then have to cold restart the phone. Anyone else have seen the same?